I vividly remember sitting in my sixth grade chorus class and watching a video about STOMP and thinking it was just about one of the coolest things I've ever seen. 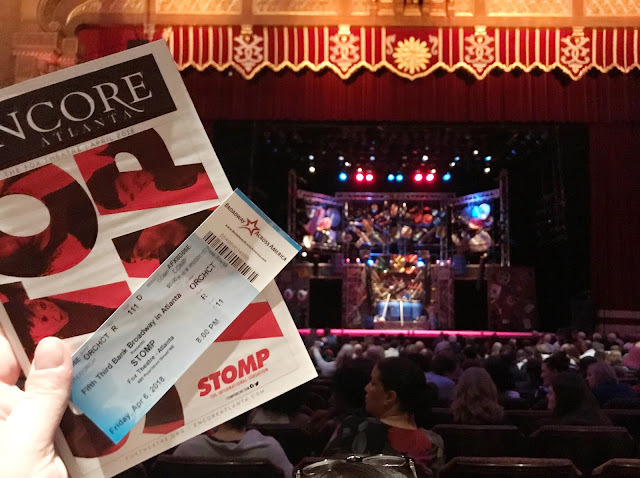 So when I heard that STOMP would have a limited three-show engagement at The Fox Theatre in Atlanta, I obviously jumped at the chance to go. 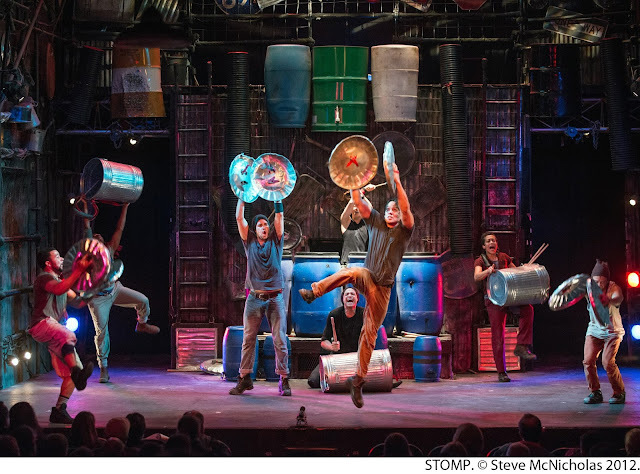 It can be kind of difficult to describe STOMP and do it justice - it's more concert than play, but either way the performance is awe-inspiring. If you've never heard of STOMP, it's an award-winning percussion group which uses basically anything except conventional percussion instruments to make mesmerizing music. 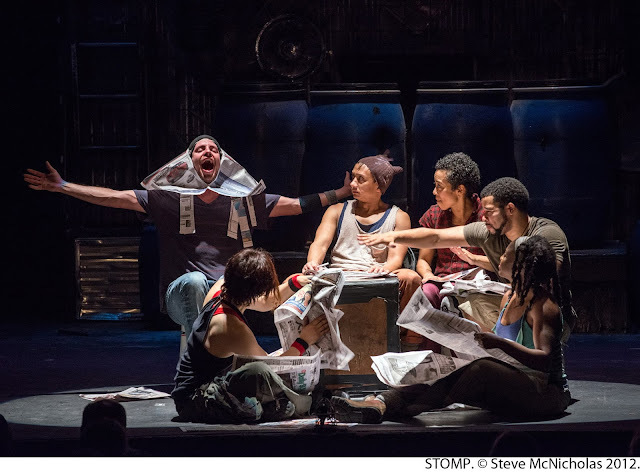 The group began as street performers in the U.K. in the early 90s, and has evolved to an international sensation. You may have seen videos of them banging on metal dustbins or making wondrous music with brooms. The show, which was completed void of words, utilized lighting to cast shadows among the walls and audience. Everything about the show was completely in sync, including the fun comedic bits portrayed throughout the show. 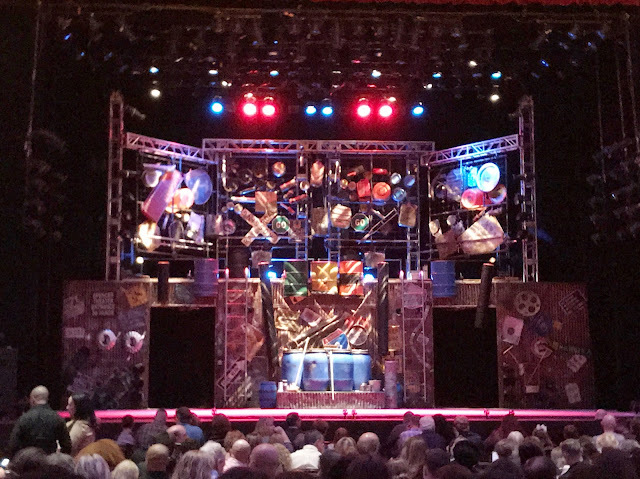 I will say the performance is extremely loud, and the lighting does include some flashing and headlamps aimed straight at the audience, so be prepared for that. Honestly, words cannot do it justice. The tour just kicked off in Florida on April 3 and will be traveling the US and Canada through late May. You may have missed Atlanta, but the tour will be stomping back by into Chattanooga next month. Check out the full tour dates here, and I urge you to see the show. It's absolutely a can't miss! So fun! I love this show, my percussion group did a version of this one year. 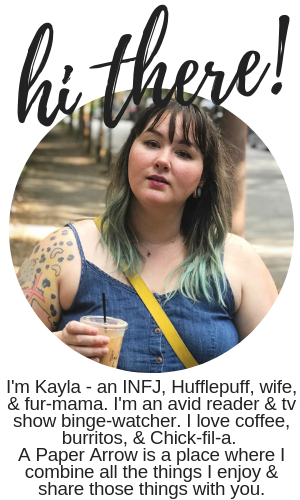 That's so cool. I bet that was really neat to be a part of.